This page is a simple explanation of what company car tax gets based on. It explains how HMRC company car tax deduction works for a 4WD pickup truck or a double cab. Understanding how 4x4 company car tax rates and calculations work can be a little confusing. But, you should find this simplified guide a fairly smooth ride. We also try to unravel the complexities of the BIK system. The overwhelming majority of 4-wheel drive cars and vans benefit charges in the United Kingdom get based one thing. The tax gets based broadly around the CO2 emission figures (discharge from burning oil or gas). But there are other important factors to consider. A vehicle becomes a taxable perk of the job if it gets supplied to you in connection with your employment and you use it for private transportation. That also includes the car fuel benefit made available for any personal or recreational trips that you happen to take. This applies no matter whether it is a car, light van, 4x4 pickup, or an off-road double cab. The automotive terminology for using this actual monetary value is 'Benefit In Kind' - abbreviated to BIK. The cost of a BIK privilege gets paid on top of salary by an employer. Thus, HMRC consider this 'Benefit in Kind' as earned income. Hence, it then becomes liable for tax. We should emphasize that company car tax bands are different than standard Vehicle Excise Duty (VED) car tax bands. In fact, HMRC currently make vehicle emissions calculations for BIK company car tax bands from over thirty different levels. As a rule, BIK values get reduced if you only use the vehicle part-time. The same may apply in circumstances where you paid towards the cost of the original purchase. All other things being equal, this should also reduce your company car tax charges too. We agree that driving a company car is a perk of the job. But, the gratuity goes downhill a little too fast when a chunk of money gets deducted from regular salary. The HMRC company car tax calculator is the simplest way to calculate how much tax you need to pay. 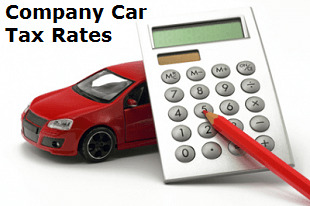 How are Company Car Tax Rates Calculated? When you are working out the tax rate for your van or 4x4 vehicle, the deductions are no longer simply based on the basic carbon dioxide (CO2) tailpipe emissions such as with Vehicle Excise Duty (VED) car tax. Company car tax rules got updated in 2002. There are different percentages of P11D values that affect the calculations and according to different emission level bands. P11D refers to the name of the form an employer sends to the tax office in connection to the company PAYE scheme. The type of fuel it uses. Optional extra gear and accessories fitted. Official HM Revenue and Customs company car tax rules produce a CO2 emissions figure for each model. The measurement gets determined in grams per kilometer (g/km). They then convert it to a percentage multiplier. Taxable benefit charge for the year gets calculated even further. They will apply the vehicle list price and several other factors to the equation. The method of calculating a vehicle's company car tax band through its emissions assessment is not quite an exact science. Basically, driving one of the least polluting four-wheel drive models earns you a BIK rate of 5%. Typical examples include the fabulous Fiat Panda 4x4 0.9 TwinAir or the scintillating Suzuki Swift 4x4 1.2 Dualjet SZ4. We have also seen the introduction of lower thresholds from time to time. This is the government's effort to speed up the uptake of fuel efficient vehicles. In fact, percentage multipliers below 15% are now applicable for specific groups of less pollutant vehicles. They sit in very low tax bands such as hybrid cars. The highest polluters get taxed at 35%. The Jeep Compass and the Vauxhall Antara are among the biggest culprits. But, the actual rate also changes with the tax year. Electric vehicles - also called EV - use electric motors for propulsion, as a rule. Electric drive vehicles get recognized as cars with ultra-low emissions. In fact, they were once exempt from company car tax. But, as a result of changes introduced in 2016, most EVs are now facing a 'Benefit in Kind' rate of 7 to 10%. How Much Company Car Tax Will You Pay? As with most benefits and taxes in life, your annual salary affects the actual amount of company car tax you will pay. What that actually means is when you earn more than £10,600 a year you fall into the 20% income tax bracket. The tax due will be the same percentage (20%) of the taxable portion relating to the vehicle P11D value. Likewise, if your income exceeds £42,385 a month you will pay 40% on the taxable part of the P11D. This is because you rank in the 40% tax bracket. In most cases, company car tax deduction gets taken off your monthly salary. There is no longer a maximum price cap of £80,000. This example produces a company car tax payable amount of £720 per year. The company car running costs of a 4x4 diesel versus petrol SUV worsen. Most diesels have a three per cent surcharge over comparable petrol ranges. They may record similar carbon emissions. But in general, diesels emit larger quantities of harmful particulates into the environment. The cost of a diesel car is likely to be higher than its petrol sibling. Thus, it may be wise to work out whether you anticipate covering enough road miles each year to warrant the extra cost of running a diesel company car. Privately owning a car, or self-employed ownership of a vehicle, is not liable for company car tax. As such, the 'Benefits in Kind' regulations do not apply. But, being self-employed and owning a vehicle registered through your business has its own set of rules and tax calculations to deal with. The term 'grey fleet' refers to vehicles used in business travel, but do not belong to the actual company. Examples of grey fleet purchases would be one privately owned by an employee, a rented vehicle, or one purchased through an employee ownership scheme. Note: The government statement issued in 2015 reversed an earlier ruling. It announced the retention of the current diesel supplement in company car tax until the year 2021. At that time EU-wide testing procedures should ensure that new diesel cars meet stricter worldwide air quality standards. The Finance Bill 2016 effectively allows the appropriate percentage for diesel cars to continue including the diesel supplement until that time.